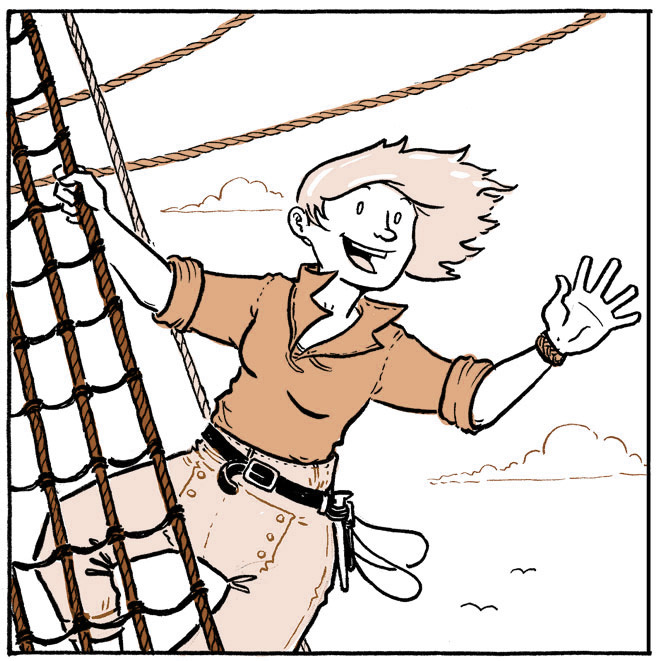 Comics artist Lucy Bellwood has teamed up with journalists to report on Islamic environmentalists and the Women of Gitmo, and with modern mariners to tell the stories of life onboard historic sailing ships. Her new art show "Down To the Seas Again" will open in September at Portland's Sequential Art Gallery. 12:20 Cult of Daath poison winds razor war Nuclear War Now!